The Global Forum is the highest-profile event of the UN Alliance of Civilizations, bringing together prominent personalities, current and potential partners, and others from different sectors. Forums in the past have been held in Madrid (2008), Istanbul (2009), Rio De Janeiro (2010), Doha (2011), Vienna (2013), Bali (2014), and Baku (2016). Prior to the Global Forum, a Youth Event is held with young people selected from the open application process. For each Global Forum of the UNAOC, a 1 or 2-day preparatory Youth Event is organised in order to help young participants network prepare collective messages. Youth Recommendations are then presented to the UCAOC Global Forum. 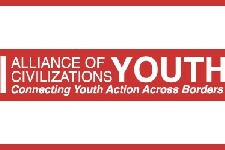 Usually, the UNAOC Youth Event has an open application process for young people. Applicants need to be aged between 18-35 years old and be a member or representative of a youth-led organisation.